Our bestselling tour in winter, has now been made available in summer! On this tour the dog sledding, which is somewhat more difficult in the summer months, has been changed to a wonderful boat voyage to the calving glacier EQI. Everything has been arranged and selected to give you the best of the Arctic in seven days! At the Polar Circle in Greenland lies the old American Base “Søndre Strømfjord”. 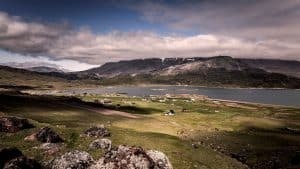 Today the base has been handed over to the Greenlandish people, and is called Kangerlussuaq, which also gives name to the system of fiords that lies just a few miles outside of town. The area around the base has magnificent wild arctic wilderness, with the Ice Cap only about 30 miles away. 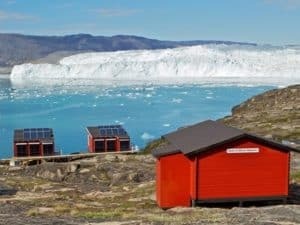 With its more than 10.000 Musk oxes roaming about freely, this is one of the best spots in Greenland to watch wildlife. 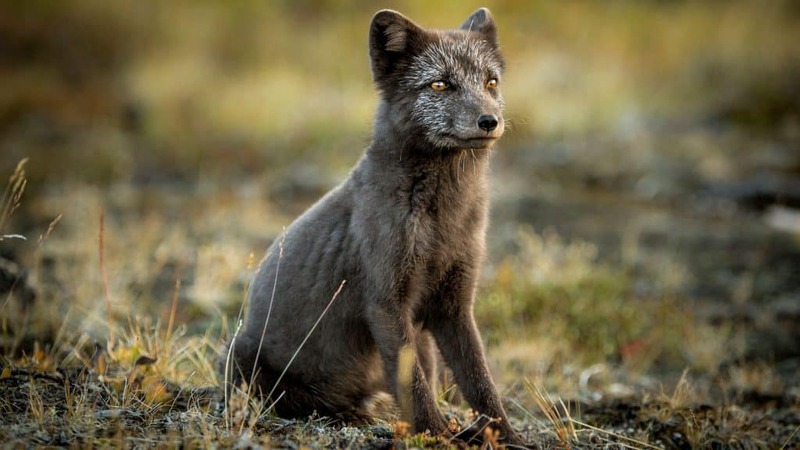 Raindeer, polar fox and hare are also commonly seen. Experience Ilulissat (Jacobshavn) with its 100m high icebergs, calving glaciers and the spectacular town right next to the UNESCO protected Kangia Icefiord. Here you will find that the old hunter lifestyle still lives on. 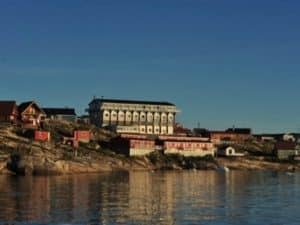 In Ilulissat you will stay in the newly renovated Hotel Hvide Falk (White Falcon), and have five amazing days, you hardly will forget. 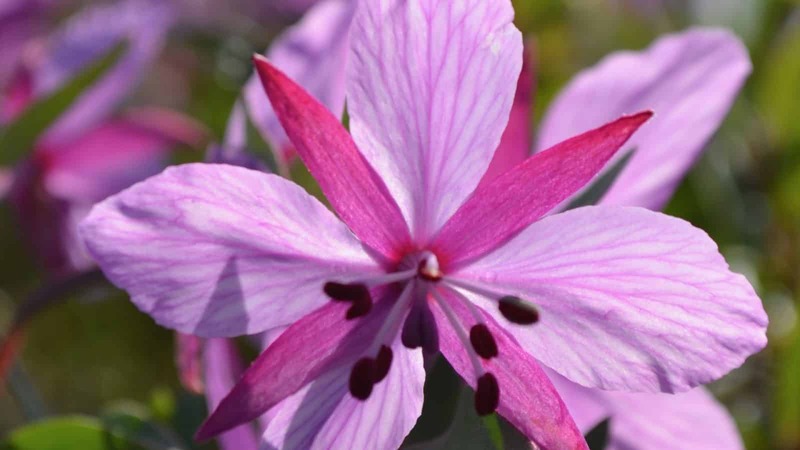 Here you will find plenty of excursions. 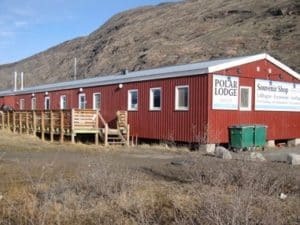 In Kangerlussuaq you will stay at the local hostel Old Camp, and upon arrival there will be a briefing about the place and the activities. At 1pm we are heading out to the Ice Cap, which lies about 30 miles (40km) from Kangerlussuaq. We use small local busses to drive the rugged way, through beautiful landscapes, formed by the extending and retreating Ice Cap. This is actually where the ice stopped after the last ice age, during which the Ice Cap covered most of Northern Europe. The round shapes of the mountains, really shows the true force of the ice.If conditions permit, we will be able to walk up upon the Icecap itself. Underway there will be rich opportunities to spot wildlife. Breakfast at the hostel, and afterwards we fly to Ilulissat. Even at the inflight over the ice fiords, will you be able to spot floating Icebergs far into the horizon. 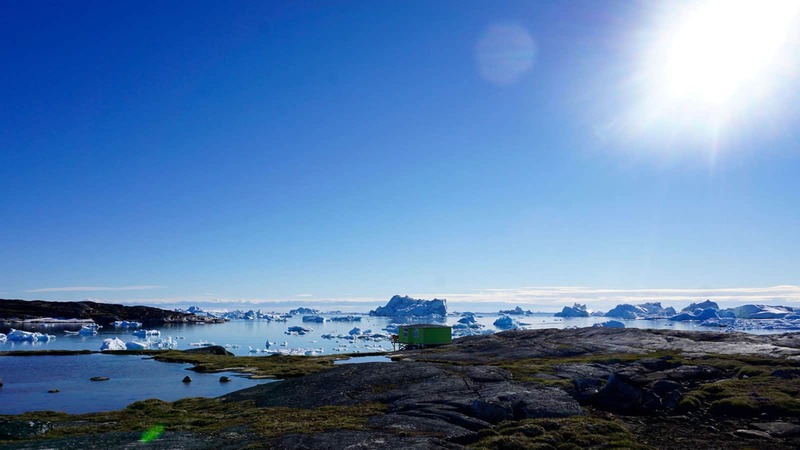 We will pick you up and take you to your hotel, that lies at the very edge of Disko Bay. 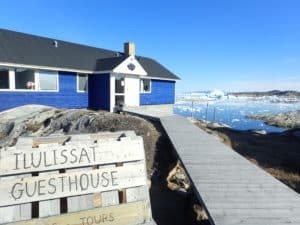 Today we will take you on a historical walk through town, where you will get a solid introduction to Ilulissat. 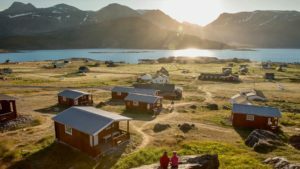 We will walk past the old colonial harbour, “brættet” where the local fishermen sell their daily catch, the house of Arctic Explorer Knud Rasmussena and the Zion Church. The first part of day offers one of the most beautiful hikes you will ever experience. Sure there are harder treks out there, with formidable views, but nothing quite like this. Towering Icebergs floating by as we walk into the valley of Sermermiut. Not too long ago several Inuit settlements called this their home, and its still possible to see some of their household remains. 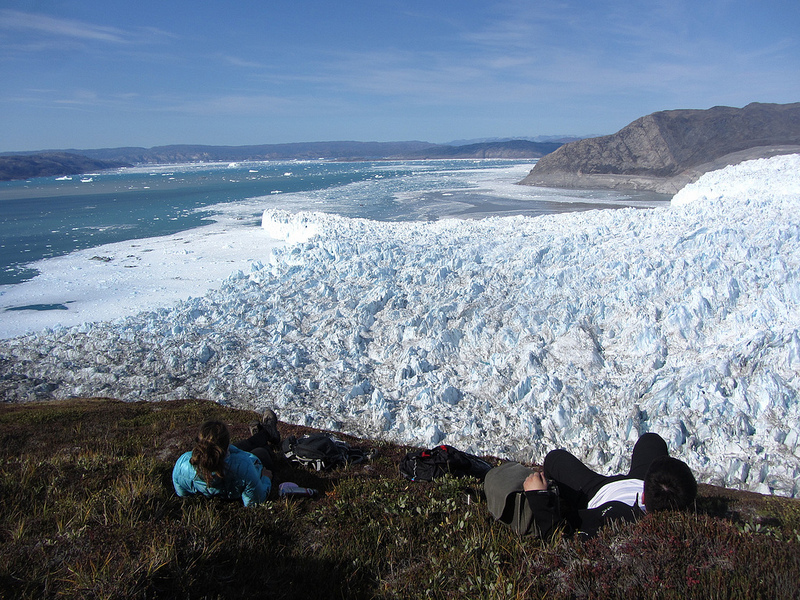 We will walk to the Kangia Icefiord, which came under UNESCO protection in 2004, a spectacular site. It is said that it was an Iceberg from this very glacierfront that sank the Titanic. 10% of the entire Ice spill that happens in Greenland, exits through this narrow straight and very few glaciers in the world produce more or bigger Icebergs than this place. In the evening we will sail out and meet the Icebergs on an Icefiord Cruise. 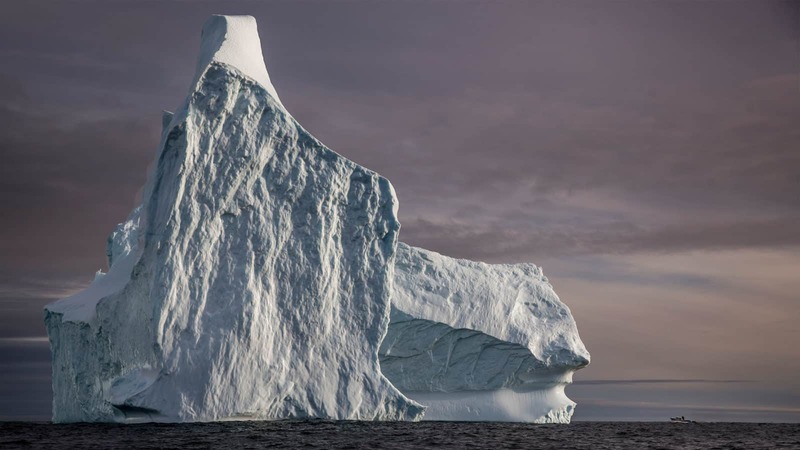 To sail among the giant Icebergs, gives a whole other perspective to the massiveness of these giant bodies of ice. It gets cold out on the ocean, so bring warm clothes, hat and gloves too. 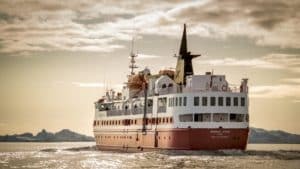 If you want to do any extra activities today, we can warmly recommend our Disko Bay Explorer trip. Breakfast Hotel Hvide Falk. Today is another day to write home about! 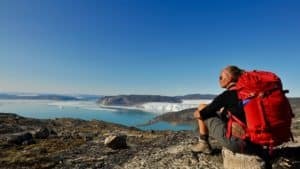 Few places in Greenland are as pretty as the Glacier of EQI, the Kelving Glacier. 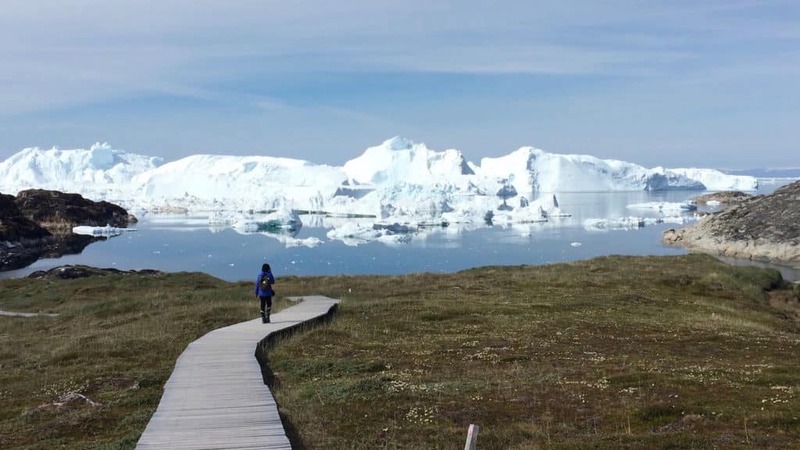 It lies about 70km outside of Ilulissat, and we will go there by boat. On the boat we are able to sail up to the very edge of the glacier, and, if we are lucky, experience glacier calve. The noise it makes when old ice cracks off and drops into the sea is a sight to behold. 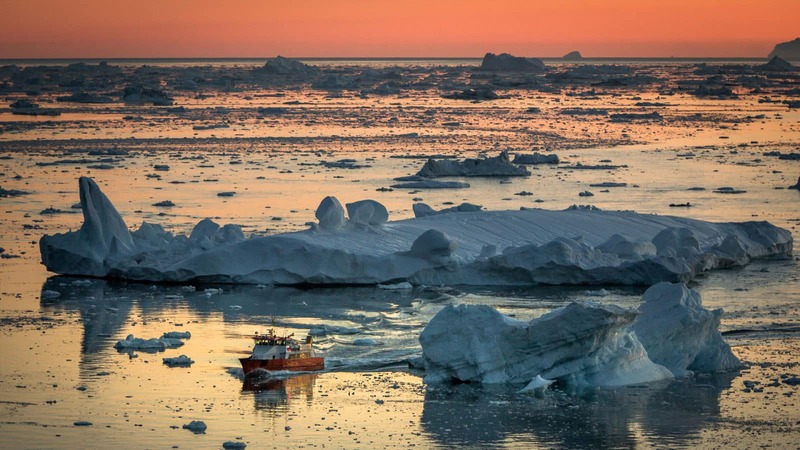 07.00am Departure from Ilulissat in a comfortable boat, with good space. There will be tea and coffee on the way and its possible to buy beer and soda. We will also offer a small serving of bread after departure. During the voyage, the guide will tell us about the settlements that we pass. 11.30am A solid lunch will be served. And during aprox. 1½ hour we will stay in fron of the Glacier, and cross our fingers that we will see a good show of ice breaking off. 07:00pm. 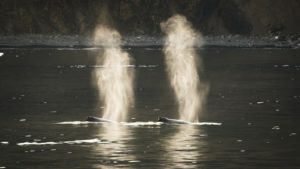 We will back in Ilulissat – look out for seals and whales on the way back! Breakfast at the hotel. This day is on your own, and we recommend a visit to the local art museum or the Knud Rasmussen Museum. You will have plenty of time to hike around town, and check out the many smaller shops, some of which sell local handicrafts. 1 nights at Old Camp, incl. 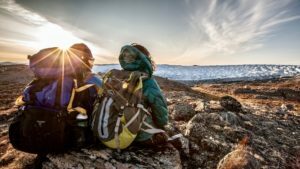 breakfast (Kangerlussuaq) – shared facilities.